Citrix has released a Tech Preview of HDX 3d Pro support for Windows 10 VDI. Included in XenDesktop 7.8 is a Tech Preview of HDX 3D Pro support for Windows 10. This preview is available to Citrix Partners and Customers with current Software Assurance (SA) and Software Maintenance entitlements (SWM). BUG0623738 – Grey screen observed while smooth roaming from one client to other. BUG0623747 – Session falls back to display-only driver while resizing or connecting to dual monitor. BUG0623749 – Full-screen apps fail to launch. BUG0625946 – Session will be frozen and display abnormally on a quad monitor configuration. BUG0625051 – After resizing the session several times with Framehawk enabled, session changes to Thinwire mode and the HDX Monitor shows that the graphics provider is no longer HDX 3D Pro. 1741070 – Session does not update on resize. Frame buffer size does not match desktop size. This issue is mostly reproducible with custom screen resolutions when the session is resized (by dragging the window corner). 1741079 – Session may crash when window is resized due to buffer overrun. Session then reverts to standard VDA mode. 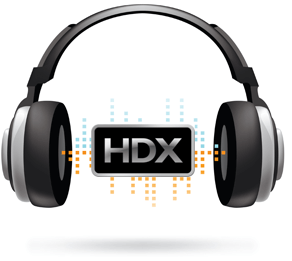 Workaround: Log off and reconnect can restore the HDX 3D Pro session.